In response to the question “If you were another species would you choose to be a _______,” no one selected koala. Perhaps that’s because you don’t want the annoyance of constantly having to remind others, “I’m not a bear, dammit, I’m a marsupial!” You have to admit, though, that there’s a certain appeal to being cute and getting to sleep 16 to 18 hours a day. “Pelican” got 6% of the vote. As it happens, I have a lot of admiration for pelicans. I’d love to be able to glide mere inches above the surface of the ocean the way they can. Placing third, with 12%, was the leopard. In second was Golden Retriever, scoring 24%. 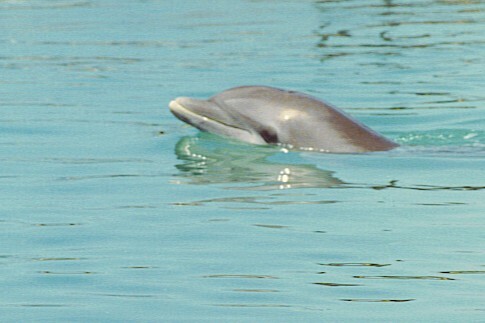 The clear winner was dolphin with 59%, suggesting that even if you were a different animal, a substantial majority of you would want to keep the same characteristics you have as a human: smart, athletic and playful. Hm. I guess I did do that a time or two over the years, didn’t I?